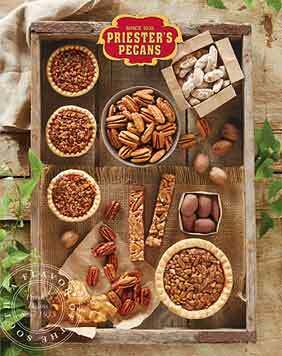 Priester's traditional Pecan Logs are sure to be the highlight of your holiday - or any day at all! This sweet treat provides layers of irresistible taste. The creamy nougat center will melt in your mouth while the cherries add an extra burst of flavor. 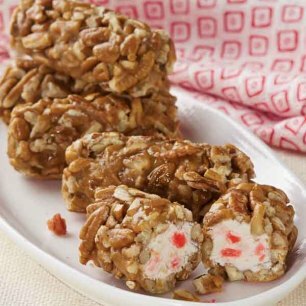 Though delightful enough on their own, these ingredients are dipped in homemade caramel, then rolled in a thick, crunchy coating of our renowned pecan pieces. 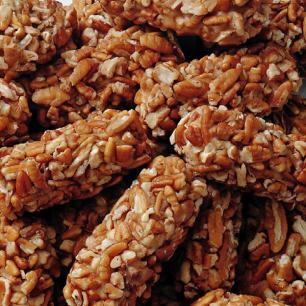 No matter how big your appetite, you can order enough of our fresh pecan logs to satisfy your cravings. Try a gift box of eight 2-oz. 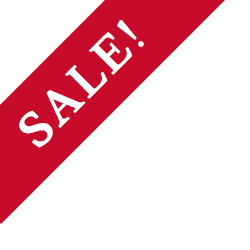 logs, an economy package containing six 6-oz. logs, or go wild with a 24-count pack of 2-oz. logs. 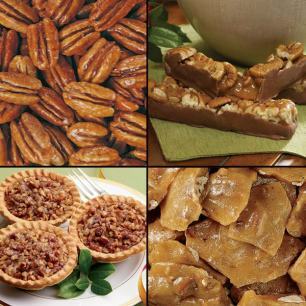 Get them for your next party, give as a gift to family and friends, or just savor as a delicious dessert for yourself.